2. PrivaSphere Services: PrivaSphere offers to you a secure messaging service for your personal and commercial use to protect your confidential, sensitive, and proprietary information when transmitting over the internet (this service and the related services or any portion thereof are summarized hereinafter as 'Services'). The PrivaSphere web site and the Services are entirely operated in Switzerland. If the PrivaSphere web site or any Services offered on any PrivaSphere web site requires you to open an account, you must complete the registration process by providing PrivaSphere with current, complete and accurate information as prompted by the applicable registration forms. You will choose a password and a user name there. To maintain your security, after a password reset or a specified amount of time (e.g. 30 days), the messages will no longer be available through the service. Public keys transported by PrivaSphere can be put to maximum use for protecting the security of communications with the respective owner. 3. Legally binding communication: For the communication with the authorities, the Swiss Federation stipulates a directory, containing all users that can receive legally binding messages (as per the ordinance of June 18, 2010 http://www.bj.admin.ch/content/bj/de/home/dokumentation/medieninformationen/2010/ref_2010-06-182.html). You can choose whether you want to be easily searchable for others and not just authorities or for those others only to be visible for exact address verification. To be added to this directory, the Swiss Federation requires a certain level of identification. Recipients of regulated message types have to be identified by the platform prior to be able to open such messages. If the recipient is identified already by another recognized platform, that is interoperable with PrivaSphere™ Secure Messaging, your regulated message must be handed over to that other platform and leaves PrivaSphere's scope of service. It is your free choice to configure further hand-offs to or the use of functions of other operators , therefore also the terms and conditions of these third parties will exclusively apply for this. 4. Pickup deadlines and retention: It is the customer's responsibility to store messages and receipts on the customer's own systems in a way usable to be able to reproduce in case of need the transmitted contents in a form admissible as valid audit trail or proof and to allow to reconstruct the exact message flow exchanged. To open messages and receipts, it is the customer's own responsibility to possess a working and sufficiently calibrated internet connection. In certain dispatch modes (e.g. Registered [PrivaSphere Secure Registered eMail™]), there is a 7 days period (incl. weekends and holidays) during which messages can be opened. After 7 days, the recipient can no longer open them unless they have been opened beforehand. You and the recipient will be informed accordingly. 5. Right to Use: You agree to use the Services only to post, send and receive messages and material that are lawful. Your right to use the Services and any password or right given to you to obtain information or documents is not transferable. You are not allowed to use the Services for any purpose that is unlawful or prohibited by these terms, conditions, notices and by law of any applicable jurisdiction. By way of example, and not as a limitation, you agree that when using the Services, you will not use the Services in connection with junk eMail, viruses, spamming or any duplicative or unsolicited messages, defame, abuse, harass, stalk, threaten or otherwise violate the legal rights of others, material or information that incites discrimination, hate or violence towards one person or a group because of their belonging to a race, a religion or a nation, or that insults the victims of crimes against humanity by contesting the existence of those crimes. 6. Your Responsibility and Indemnification: You are entirely responsible for maintaining the confidentiality and quality of your password as well as the secure transmission of the message unlock codes (MUC) to the recipients of your message by means other than plain eMail. You are also entirely responsible for any correspondence that opts out from using the MUC, for the loss or disclosure of your own decryption key, for the safeguard of the Session Authenticator and for any and all activities that occur under your account. You agree to notify PrivaSphere immediately of any possible or actual unauthorized use of your account or any other breach of security. You acknowledge that if you forget your PrivaSphere password your password must be changed. In this case your messages and contents on the secure PrivaSphere server might be deleted and not accessible anymore. Furthermore you acknowledge that if you delete any messages and contents they will not be available anymore. You are aware that it is your responsibility to install the technical requirements (e.g. the browser-technology) as defined by PrivaSphere for the use of the Services. You will accept any limitation of use due to technical reasons. It is also your responsibility to ensure that you only enter your password into the original PrivaSphere web site (see protection against 'Phishing'). 7. 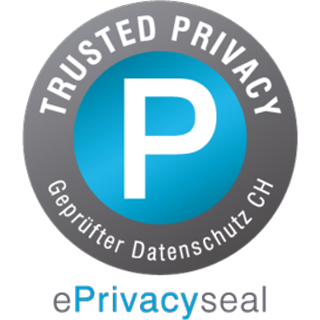 Privacy and Protection of Personal Information: The protection of Personal Information is subject to the applicable Swiss legislation, e.g. the Swiss Data Protection Act. For more details see the Privacy Statement at https://www.privasphere.com/hp/index.php?id=33. 8. Links to Other Web Sites: PrivaSphere's web site or Services may contain images of and links to third party web sites ("Linked Sites"). The Linked Sites are not under the control of nor approved by PrivaSphere and PrivaSphere is not responsible for the contents of any Linked Site, including without limitation any link contained in a Linked Site, or any changes or updates to a Linked Site or any combination of a PrivaSphere Site and a Linked Site. 9. Property Rights to Services: The ownership of the PrivaSphere web site and Services or other rights to the PrivaSphere web site and Services are the sole property of PrivaSphere. In-sofar as these rights do not already belong to PrivaSphere or fall to PrivaSphere by default, you herewith assign all of these rights to PrivaSphere. 10. Intellectual Property Rights: Intellectual property rights, particularly copyrights, patents and trademarks, and any other property rights on the PrivaSphere web site in the Service are the sole property of PrivaSphere. Insofar as these rights do not already belong to PrivaSphere or fall to PrivaSphere by default, you herewith assign all of these rights to PrivaSphere. All these rights are reserved. By submitting any contribution, product, idea etc. of any kind to PrivaSphere you warrant and represent that you own or otherwise control all of these rights including, without limitation, all intellectual property rights and you herewith agree to assign all of these rights to PrivaSphere. 11. Bonus: Under certain circumstances, PrivaSphere may grant a bonus to you. The respective circumstances are defined separately on PrivaSphere's web site. The bonus will only be granted at PrivaSphere's discretion and only in the form of a discount price for further Services used by you. You acknowledge that you will never have a claim to receive a bonus of any kind. The bonus will be rescinded and not be refunded in any form in case of termination of the access to the Services. 13. Disclaimer: PrivaSphere and/or its respective suppliers make no representations about the suitability, merchantability, fitness for a particular purpose, title, and non-infringement of the Services, the information, content, documents, and related graphics published on this web site for any purpose. PrivaSphere makes no representation or warranty that any Services will be uninterrupted, timely or error-free. Particularly PrivaSphere makes no representation or warranty that any Services will be secure in case of hackers, virus or any other attacks. 14. Liability: PrivaSphere herewith excludes any and all liability in the scope allowed by Swiss Law. Particularly PrivaSphere will not be liable for any direct, indirect, punitive, incidental, special, consequential damages or any damages for loss of use, data or profits, arising out of or in any way connected with the use or performance of the PrivaSphere web sites or Services. All responsibility or liability for any damages caused by hacker or viruses or any other attack is disclaimed. You agree that PrivaSphere has no responsibility or liability for the deletion, corruption or failure to store any messages or other content maintained or transmitted by any Services. PrivaSphere will not be liable for any loss that you may incur as a result of someone else using your password or account, either with or without your knowledge. In addition, PrivaSphere will not be liable for any and all contents which have reached the recipient. However, you could be held liable for losses incurred by PrivaSphere or another party due to someone else using your account or password. You may not use anyone else's account at any time, without the permission of the account holder. You agree to indemnify, defend and hold PrivaSphere and its partners, attorneys, staff and affiliates harmless from any liability, loss, claim and expense, including reasonable attorney's fees, related to your violation of this Agreement or use of the Site. You agree to indemnify and hold PrivaSphere AG and its subsidiaries, affiliates, officers, agents, employees, partners and licensors harmless from any claim or demand against you, including reasonable attorneys' fees, made by any third party due to or arising out of Content you post, modify or otherwise make available through the PrivaSphere Services, your use of the PrivaSphere Services, your connection to the PrivaSphere Services, or your or PrivaSphere AG's violation of any rights of another. 15. Transfer: PrivaSphere reserves the right, in its sole discretion, to transfer the relation with you at any time to an authorized reseller inits growing distribution organization. 16. Termination: PrivaSphere reserves the right, in its sole discretion, to terminate your access to any or all Services or any portion thereof at any time, without notice. PrivaSphere may also terminate or suspend your access to Services for inactivity - without refund. PrivaSphere shall have no obligation to maintain any content or to forward any unread or unsent messages to you or any third party. PrivaSphere will delete all messages after a given amount of time, irrespective of whether they have been received or not. 17. Severability Clause: If parts of this agreement should be null and void or of no legal force, the remainder of the agreement remains valid. The parties to the agreement will then modify the agreement in such a way that the objectives defined in the sections which are null and void or of no legal force are economically achieved as much as this is possible. In case of differences between the language versions of this document, the German version takes precedence. 18. Local responsibility: It is the responsibility of the sender and receiver to use the services of PrivaSphere AG in accordance with the law applicable at their location. 19. Applicable Law / Place of Jurisdiction: This Agreement and the Services provided through the PrivaSphere web site are subject to Swiss law. You recognize the exclusive jurisdiction of the courts of Zurich, Switzerland. PrivaSphere is also entitled to take legal action against you before any other competent court.